If you are looking for attractive and durable Baldwin Grand Piano Covers, you have finally landed on the right webpage. Not only does Perfectly Grand offer all varieties in fabric, color, and size. We also offer added benefits such as locking straps and embroidery. Baldwin pianos are arguably the classiest pianos out there, and your piano cover for Baldwinpianos should be no less. Every cover includes free shipping. Purchase a Baldwin Piano Cover Today! You can also order a custom size if your desired size is not mentioned in the list. Covers for Baldwin Pianos can be made from three different fabrics, vinyl, mackintosh, and quilted. 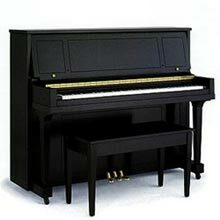 All three varieties protect the piano against water damage, and any damage done by the weather. The heavier padded quilted covers, and mackintosh covers can also protect your piano from minor physical damages. 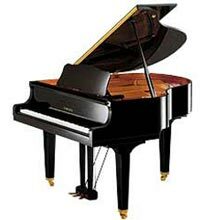 The vinyl cover can protect the piano from scratches, but it’s better to choose a quilt or a mackintosh if the piano is placed in heavy traffic areas. Baldwin Grand Piano Covers are a popular form of protective layering among schools, churches, and nursing homes. The high quality fabric, combined with excellent craftsmanship gives our products an edge over the rest of the competition. We can have your Baldwinpiano cover made and delivered within 5 working days. An added specialty we offer is embroidery. Most of our customers choose to have the Baldwin name and logo embroidered on the side and on top of the cover. We can also add locking straps so that your piano cover can be held into place, and can only be removed when you want to remove it. The vinyl variety comes with a series of sliding panels, and the quilted variety is usually has square shaped patterns. We have included all these aspects to our catalogues because those are the common preferences among our customers. We would again like to remind you that if something is not listed in our catalogue, and is not present in the list, we can still get it done. We understand that some customers like to add a touch of uniqueness to their Baldwinpiano cover by having it made with custom options, while others simply like to choose a standard product from a given catalogue. We cater to both kinds of customers. The popular varieties when it comes to color are black and brown. Recently, white and burgundy have also gained popularity, but covers of these colors require more maintenance than their black and brown counterparts. Covers for Baldwin Pianos are usually expensive, but we have proudly maintained our commitment to low prices and high quality in this regard. The prices are competitive, the quality is high, and the shipment time is maximum 3 days. If you have any queries about Baldwin Grand Piano Covers feel free to contact us at [email protected] or 800-792-4457. Click here to place your order.